Dorothy J. Robinson, 91, Johnson City, died Tuesday, January 15, 2019, at her residence with her family by her side, following a lengthy illness. Dorothy was a native of Shelby County and a resident of Johnson City, since moving here with her husband, Ross, in 1948. She was one of eight children by her parents, Lewis and Ida Hanks Jolly. Dorothy, known by many of her friends simply as Dot, was an avid homemaker and loved taking care of her family. She was the consummate host and drew tremendous pleasure from having family and friends over for BBQ’s, parties and celebrations. She hosted many memorable events over the years and enjoyed them as much, if not more, than those who attended. She frequently opened her home to out-of-town guests coming to the area for Bristol races and Jonesborough Storytelling and enjoyed meeting new people and ensuring they were comfortable and well fed. Dot, and her husband Ross, were members of Munsey Memorial United Methodist Church and enjoyed their years in the Fellowship Sunday School Class. One of Dot’s special times each year was making candy…especially her much sought after pecan rolls, for Munsey’s fundraiser “Hobby Lobby”. 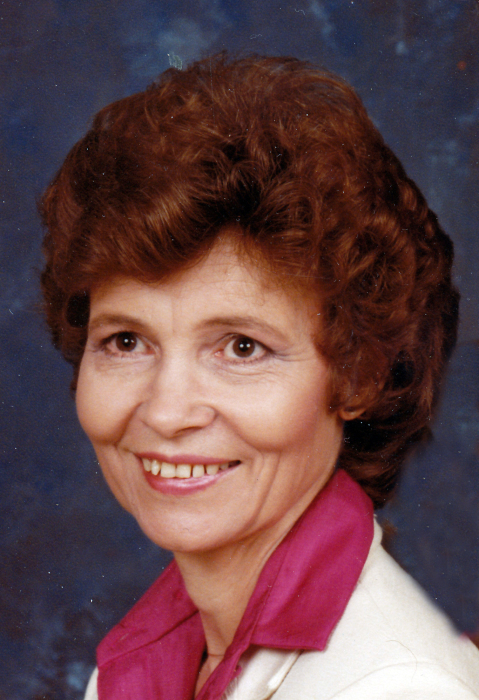 Along with being active in her church, Dot was a member of the Johnson City Newcomer’s Club, Red Hat Society, and the Johnson City Woman’s Club. She worked tirelessly on her pet project, the Hospital Guest House. In addition to her parents, Dot was preceded in death by her husband, Ross James Robinson in 1999, son, Marc Robinson, 2017, five brothers, Edgar, James, Woodrow, L.J., and Billy Joe Jolly and sister Ruby Smith. Dot is survived by three children, Michael Robinson and wife Eve, Johnson City, Nancy Hughes, Johnson City, Christopher Robinson and wife Susan, Knoxville; brother, Thurman Jolly, TX and sister, Sudie Gibbs, TX. Dot was blessed with nine beautiful grandchildren, Jason Hughes and wife Fran, Shannon Hughes, Alana Robinson and husband Clay Bowden, Holly Robinson Klaus and husband Justin, Krista Robinson, Katie Robinson Hayes and husband Blake, Abigail Robinson, Millie Robinson Tyree and husband Blake, and Fulton Robinson. She also has five great grandchildren and several loving nieces and nephews. The funeral service will be conducted Saturday, January 19, 2019, at 2:00 PM, from the Chapel of Munsey Memorial United Methodist Church, with Reverend Michael Lester and Reverend Patty Muse, officiating. Special music will be provided by Matthew Brickey and Jim Wilson. Interment will follow in Monte Vista Memorial Park. Pallbearers will be selected from family and friends. The family will receive friends prior to the service from 1:00 –2:00 PM at the Munsey Chapel. In lieu of flowers, contributions to the Alzheimer’s Association of Northeast TN, 2319 Browns Mill Rd. STE D6, Johnson City, TN 37604 and Johnson City Woman's Club would truly be appreciated. Special thank you to the amazing staff at Amedisys Hospice for providing such good care for Dot and her family during this difficult time. It was appreciated more than words can say. We also want to thank Visiting Angels, Rachel Osborne and Kim Howell, for their outstanding care and service.